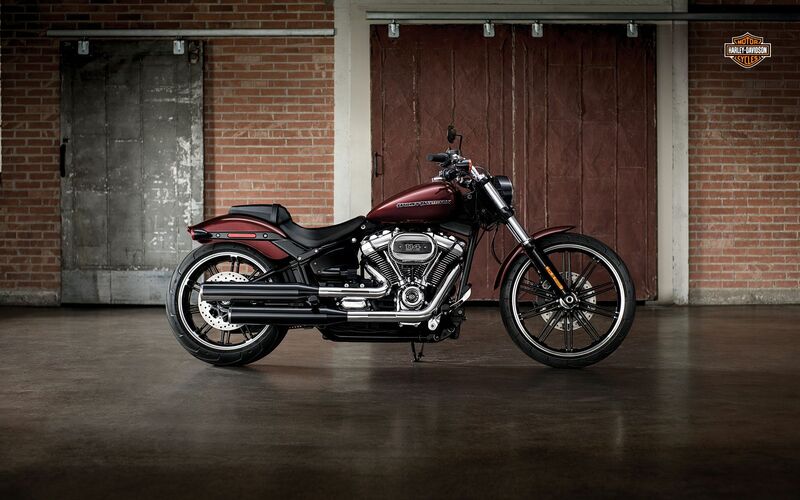 The all-new Breakout® model takes the idea of long, lean, asphalt-devouring muscle to the modern edge. The new smaller tank lets the Milwaukee-Eight® engine stand out like a flexing bicep. The 240mm rear tyre looks like it was born to leave a fat patch on the pavement. The all-new suspension lets you put maximum power to the street. And you’ll feel the difference the 30-pound weight reduction makes the instant you twist the throttle. You also get more lean angle and agility than you ever imagined in a bike carrying this much dragster attitude and style. Unleash it at your favorite stoplight. Leave them all wondering what just went by.